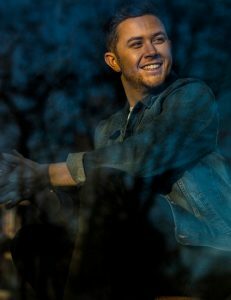 WABASH — Radio station Willie 103.5 will welcome Scotty McCreery when he takes the Ford Theater stage during a return visit to the Honeywell Center at 7:30 p.m. Thursday, April 11. McCreery burst onto the national music scene in 2011 at age 17, quickly establishing himself as one of country music’s hottest new stars. Now in his early twenties, the talented singer and songwriter has album sales approaching three million and received both platinum and gold album certifications, debuted three consecutive albums at No. 1 on a Billboard chart, and achieved one gold and three platinum-certified singles as well as two top ten hits.